ASICS, a sports equipment provider, has launched the Gel-Nimbus 21 shoe, the latest release of its top-of-the-range, neutral long-distance running shoe. With ASICS’ commitment to continual improvement, the shoe incorporates human-centric science and the latest technology to give long-distance runners superior comfort so they can run further for longer. Designed for neutral runners, the shoe features ASICS’ latest cushioning technology, Flytefoam Propel and Flytefoam Lyte, resulting in a spring like feel for a more energetic and lighter run. Named after the Latin term for the Nimbus cloud formation, the ASICS collection has become synonymous with comfort, with each new release featuring new and improved technology to benefit runners. 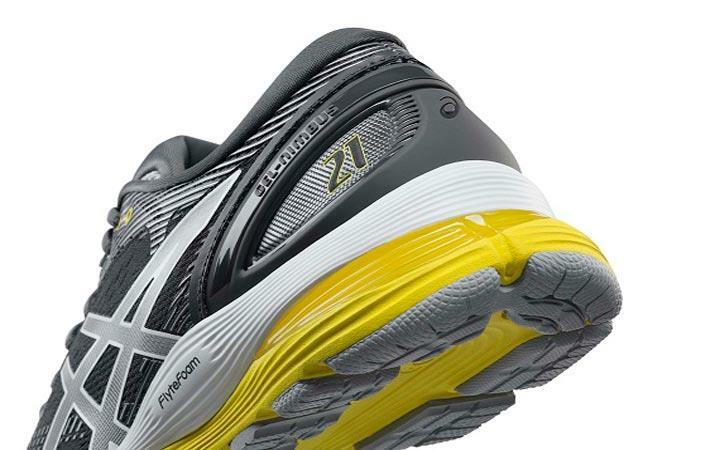 As the 21st iteration, Gel-Nimbus 21 is no different, incorporating a variety of new technologies, ASICS said. The shoe comes with an improved fit. A new last with more room in the forefoot combined with a Jacquard mesh and 3D printed overlays adapts to the movement of the runner for a premium and breathable fit. The shoe provides energised cushioning, infused with Flytefoam technology. The midsole features both Flytefoam Propel and Flytefoam Lyte technologies to deliver a more luxurious ride. Flytefoam Propel midsole delivers a strong bounce back during deformation providing a spring like effect while the Flytefoam Lyte compound makes it ASICS’ lightest midsole with added cellulose nanofibres increasing the durability of the bouncy midsole. The strategically placed Gel technology at high impact areas in both the forefoot and rearfoot to reduce shock and load on the body helps ensuring superior shock absorption where runners need it most. Updated features of the Gel-Nimbus 21 include Flytefoam Lyte at bottom midsole that provides continuous cushion through nanofibre design and Flytefoam Propel at top midsole that delivers a good bounce back during deformation. The upper jacquard mesh combined with 3D printed overlays adapts to the movement of the runner to provide a premium fit. The lateral full ground contact provides a smoother transition for neutral to supinated runners, medial Trusstic reduces the weight of the sole unit whilst retaining the structural integrity of the shoe.